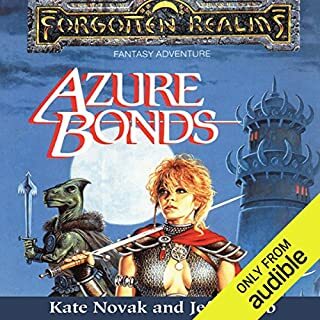 ©1989 TSR, Inc., c. 2005 Wizards of the Coast, Inc. (P)2013 Audible, Inc.
Victor does a brilliant job of narrating the story. His tempo changes depending on the action. The story is compelling and invites you to the next in the series. 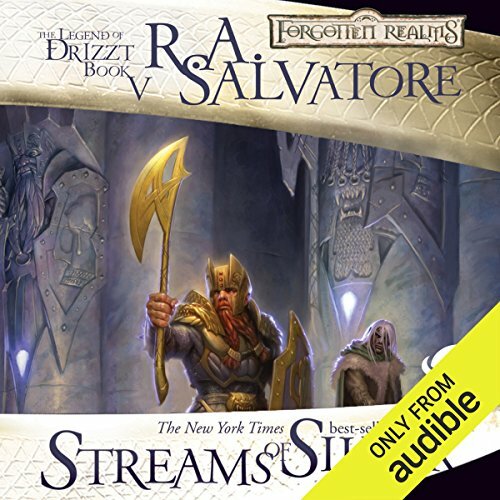 Where does Streams of Silver rank among all the audiobooks you’ve listened to so far? V.B. always does a great job bringing the books to life. Always a good listen. Love every story so far. Looking forward to listening to the rest. 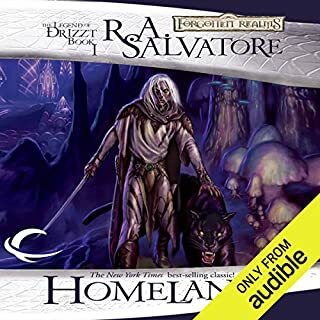 Once again, check Drizzt out if you have not already. This is the second series that I've gotten into and I'm not disappointed. The adventures is fantastic. A great listen. Well written and well performed. 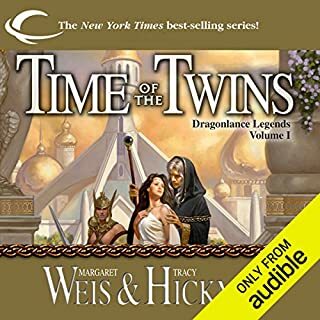 I'm listening to this series again after reading the books years ago. 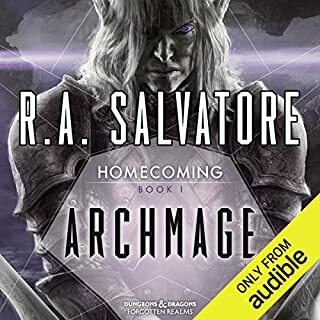 Overall, the narrator is wonderful, but there is one thing that makes the vein in my temple throb every time I hear it. The pronunciation of ravine is a soft A with the I pronounced as a hard E (rəˈvēn). 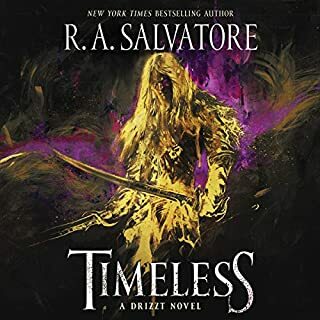 Nowhere, in no dictionary, is it pronounced ravin with a soft I (or like one of the Foresaken in Wheel of Time, for those familiar). 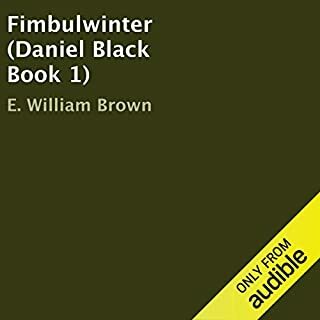 This isn't an uncommon English word, so how did it get past both the editors and producers, even if the narrator doesn't know how to pronounce it?!? Once I get over that bucket of cold water to the face each time I hear it, I can get back into the narrative, but it always jolts me out of the story for a few minutes. I love this story, but the narrator pronounces some words in such a way as to make me feel like I just heard nails on a chalkboard (lived for instance). Fortunately these words are few and far between. He does alter his voice slightly for different characters so that is good. Fun and interesting follow up. I like this story more than I liked "The Crystal Shard". Good interplay between the characters. Good questing and discovery. Good conflicts between the main powers and interests. Some characters are less interesting than others. Only a few characters seem to have real depth. Other characters seem a bit forced in their loyalties and emotions. Some choices seem out of character and there are foreseeable oversights that weaken the organic nature and believability of the story progression. Takes a bit from the immersion factor. Overall an enjoyable book, despite flaws. Definitely some gems to enjoy and capture the imagination. As always the narrator did an excellent job. 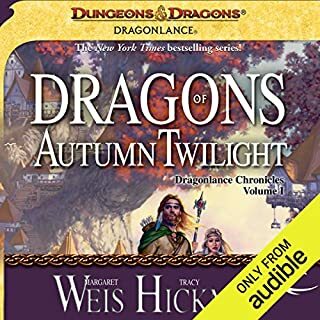 I enjoyed this book more than I enjoyed the Crystal Shard. 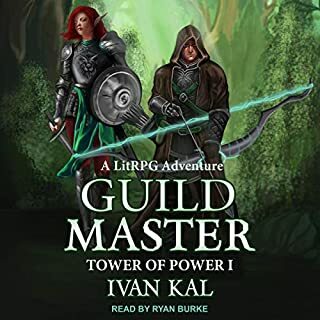 Unlike the first book the tempo in Streams of Silver is more balanced with more interesting dialogue between characters and the battles more descriptive and in a way more flexible. 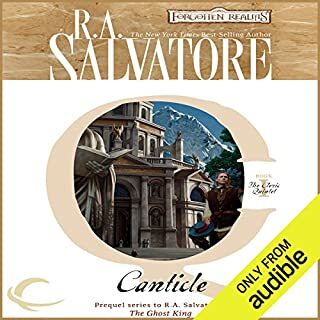 If Salvatore wrote this book immediately after the Crystal Shard he improved dramatically in his writing style. I love Victor Bevine and R A Salvador. once again. a fantastic listen. 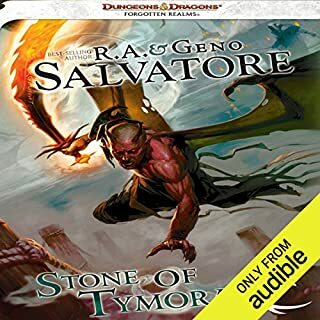 I highly recommend it to people who love dnd and adventure. i loved it! 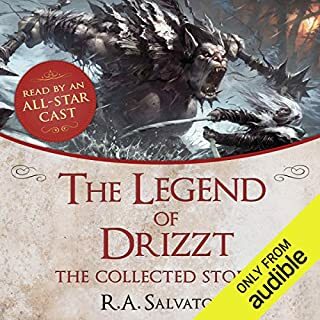 I may be biased because of how much i play D&D but i found this to be a great story! A word of advice: don't finish the last chapter without buying the next book. left me wanting to play my own D&D adventure. the characters are fun and the world is described in great detail. very entertaining and brilliantly read. loved the book and the reading of it. Enough said. Buy it and enjoy the trip. Another excellent tale. Narrated with skill. There are more bloody battles, and deep lessons... but also heavy hearted losses. I'll try to be a little fair here... D&D in general is heavily influenced by Tolkien. THAT SAID... when the plot consists of a quest to recover an ancestral dwarven city full of treasure and guarded by a dragon, and the journey involves a dangerous climb through the mountains, a respite in a goofy village and then a really dark, dangerous and murky place... not to mention that there is an actual hobbit ("halfling") with a dangerous artifact along for the journey... then you know you've got a little bit out of "influenced" territory and well into "I can't write my own plots" territory. 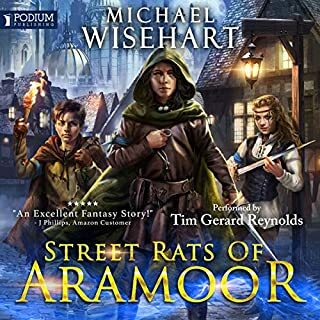 Couple that with RAS's usual all-explaining, zero-tension writing style and dull, monotonous combat... and what you end up with is a really bad knock-off of The Hobbit. I guess I shouldn't be too hard on him for the terribly boring combat descriptions. It reads like typical D&D combat, but with the endings to every encounter just that little bit contrived to ensure extra predictability. There is no flow to it. It is clunky, sequential and oh so very tedious. I actually fell asleep on the train listening to the description of a fight scene and when I woke up about 15 minutes later it was still going on and I hadn't missed anything important. I'd rather be playing D&D myself... These are hours of my life I will never get back.